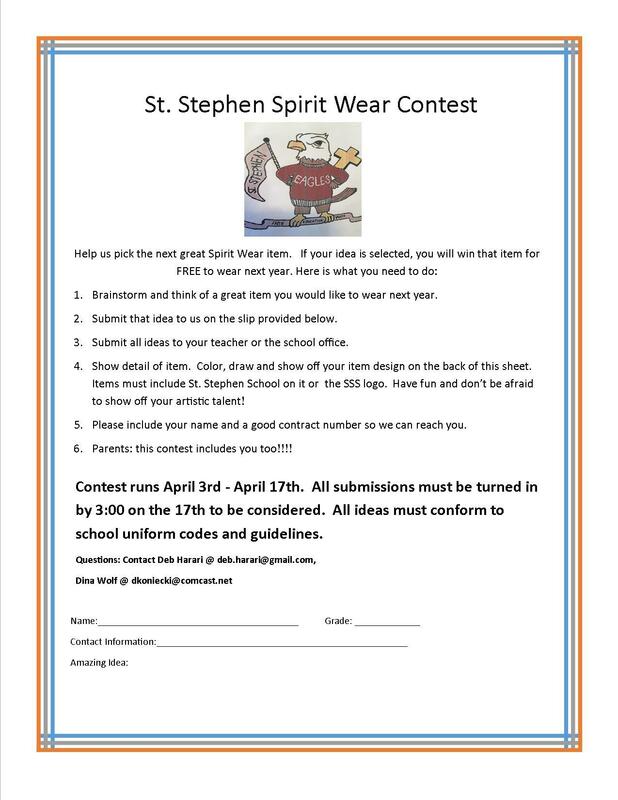 Have an idea for the next best St. Stephen School Spirit Wear item? You're in luck! 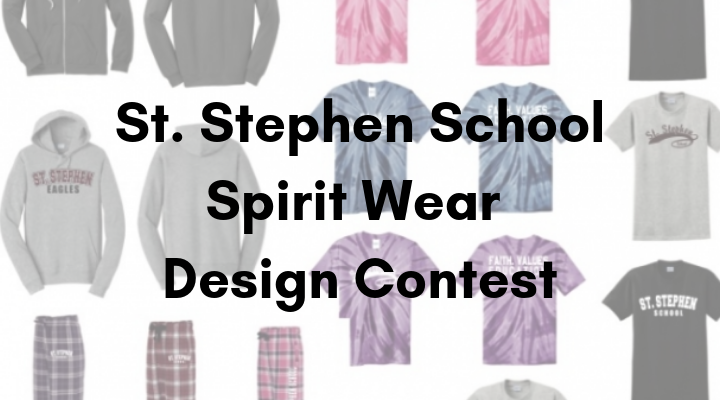 From now until April 17, the Spirit Wear Team is sponsoring a contest to design a piece of SSS spirit wear. The contest is open to students and parents alike. The winning design will be created for the upcoming school year, and the winner will receive the item for free! For details, please see the below image. You can download this flyer as a PDF (for home printing purposes!) by using the link in the sidebar on the right. Hard copies are also being sent home with each child.